It is quite common to indulge in alcoholic drinks during celebrations or over the weekend when you are looking to cut loose and have a bit of fun with a hectic schedule. However, while drinking alcohol might relax you at times, it also has the potential of paving the way for quite a few problems. 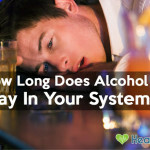 Excessive drinking over a prolonged duration can leave one drained and weak. It is also not unheard of that people develop pain upon drinking the beverage. The pain can range from mild to severe in intensity, and it is usually the area around the upper back which is most commonly affected. We are going to elaborate on the relationship between drinking alcohol and kidney pain so that you would be able to fathom how to deal with it if the problem arises. Why Do My Kidneys Hurt After Drinking Alcohol? There could be quite a few reasons that can lead to the development of kidney pain following the consumption of alcohol. The reason varies from person to person. For instance, some people develop pain while drinking, and others experience it even after they have stopped. Let us take a look at some of the causes that can be responsible for this pain. Sometimes, the pain could occur due to the fact that your kidneys are being given more work than they can handle. One of the functions of the kidney is to filter the waste materials and ensure that the body gets adequate hydration. While the kidneys do have the capacity to process alcohol, it is to a limited extent. When you drink a significant amount, the kidneys are required to work more for longer durations. This leads to an increase in the frequency of urination and can result in dehydration. Dehydration aggravates the pressure that the kidney is subjected to, thereby impairing its function. This causes severe kidney pain. The passage of urine is such that it passes into the ureter via the renal pelvis, which is a tubular structure. When you drink an excessive amount of alcohol, it leads to the production of a high amount of urine which affects the renal pelvis. This results in the development of pain. Once urine has been passed, the pain subsides. As mentioned before, drinking alcohol in large amounts can lead to dehydration, which results in the formation of renal stones. The chances of these stones forming increase even more if you have a sedentary lifestyle without a balanced diet. Drinking would lead to an enhanced production of urine, which would cause the kidney stones to move at a rapid pace, thereby leading to severe pain. Drinking alcohol can lead to kidney pain in case of ureteropelvic junction obstruction. In this obstruction, there is a complete blockage of the renal pelvis, due to which the patient develops flank pain. The chances of developing kidney pain increase if you have a preexisting liver disease. Liver diseases compromise the blood flow to the kidneys, which results in your kidneys working harder to properly filter the blood. This leads to dehydration and kidney pain. How Bad Does Alcohol Affect Kidneys? Drinking can affect the kidneys quite a bit. For starters, alcohol leads to dehydration, which affects the normal functioning of all the cells and organs of the body, including the kidneys. A high amount of alcohol can also lead to hypertension which, in turn, increases the risk of kidney diseases. Many people tend to be confused as to what kidney pain feels like. This is something that you should know so that you would be able to understand your situation when such a pain arises and take the appropriate steps. Other associated symptoms can also accompany the pain including the likes of fever, nausea, vomiting, burning while urinating, and hematuria among other things. If you experience kidney pain after you consume alcohol, this is an indication of the fact that you are overdoing things. Your body is trying to tell you that your habit is not right and a change is required. If it is solely drinking that leads to the pain, you need to contemplate quitting for good if you want to get rid of the pain. However, this is easier said than done, particularly if you have been indulging in the beverage for several years. In such a situation, you can seek assistance from support groups or other professionals who would make it certain that you get the help you need to get things back on line. Set a limit for yourself and make sure that you abide by it. Do not exceed the limit under any circumstances. Keep a record of how much you have had to drink and if you have broken any of your rules. Refrain from drinking at home. Avoid drinking quickly. Make sure you sip on the drink and finish it after substantial time. Once the glass is over, wait for at least an hour before you think of getting another one. Do not drink when your stomach is empty. Make sure there is a day in the week when you do not drink at all. Allot a budget to alcohol and make sure you do not spend more than you had decided on drinking. Make use of a small glass for wine and opt for bottled beer. Consume a high amount of water for adequate hydration.